The trailer opens up with a tragic car accident. We then transition to a seemingly normal suburban existence for Keanu Reeves and his seemingly perfect family. But things soon get weird as it's revealed that Reeves' whole family died in the accident and he brought them back to life as clones. This, as anyone who's ever seen a sci-fi movie before might expect, comes with some grave consequences. The government isn't too keen on the idea of humans being cloned. 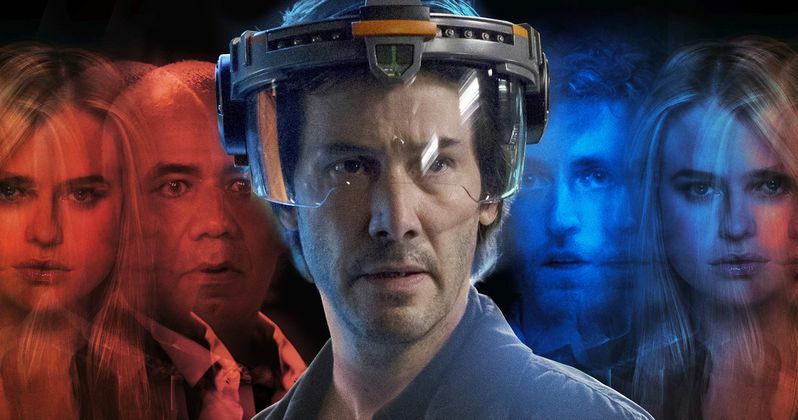 In Replicas, after a car accident kills his entire family, a synthetic biologist will stop at nothing to bring them back from the dead. In order to do so, he's going to have to put himself in harm's way by getting on the wrong side of the law, a government lab, in addition to defying the laws of science. The cast also includes Thomas Middleditch (Silicon Valley, Godzilla: King of the Monsters) and John Ortiz (Fast and Furious, Peppermint). Jeffrey Nachmanoff is in the director's chair. He's not a big name as far as directors go, at least not yet. He's mostly worked directing TV up to this point on shows such as Homeland, Chicago Fire and The Brave. He does have some blockbuster experience though, having written the screenplay for 2004's global warming disaster thriller The Day After Tomorrow. But now he gets the chance to show what he can do at the helm of a big project. The script comes from Chad St. John (London Has Fallen) working from a story by producer Stephen Hamel, who previously worked with Keanu Reeves on Siberia and John Wick. Admittedly, this project doesn't have a ton of eye-catching talent behind the camera, but the cast is compelling enough, especially with Alice Eve coming fresh off of a nice turn in Iron Fist season 2 and Keanu Reeves, when he puts his mind to it, can elevate the average to something a bit more memorable. Another possible check in the negative column is that this movie is set to arrive on January 11, 2019. Historically, January is a big dumping ground for studios, but that's been changing a bit in recent years. Will Replicas be one of the exceptions to the rule? Be sure to check out the new trailer from the Entertainment Studios YouTube channel below.